A native Londoner, Leslie Clack began his theatrical career in French in the South of France having won the Gold Medal for Dramatic Art at the Conservatoire of Toulon. Then at the start of the 1980s he set off for Paris where he performed for the first time in English notably the roles of ‘George’ in Edward Albee’s Who’s Afraid of Virginia Woolf and ‘Frank’ in Willy Russell’s Educating Rita. Returning to London he was in numerous productions, among them the comedy When Did You Last See Your trousers by Ray Galton and John Antrobus at the Garrick Theatre in London’s West End, and a number of radio and television series. He also performed for French TV e.g. Le Prix du Chacal (Olivier Assayas), Sur le Chemin de Compostelle ( Didier Grosset), Clémenceau (Olivier Guignard) and cinema: Vatel (Roland Joffe), The Lady (Luc Besson) . In recent years, after performing in the Houston Grand Opera production of Porgy and Bess at the Opera Bastille, he has devoted much of his time touring in Europe and the USA with his monodrama inspired by the life and work of Oscar Wilde, More LIves Than One - Oscar Wilde and the Black Douglas. He also took part in productions of The Sound Of Music (2009 and 2011) and Carousel (2013) at the Théâtre du Châtelet. In 2014 he was once again at the Théâtre du Châtelet in Stephen Sondheim’s Into The Woods where he sang on stage for the first time in the dual roles of Narrator and Mysterious Man. American born Patricia Kessler is one of Dear Conjunction’s founding members and has appeared in , and directed many of the company’s productions. Her training was a surprising mixture of the very best. She began at a young age at London’s well-known Mountview Theatre School, then went on to complete a degree course at The University of Wisconsin. Finally the famous Ecole Jacques Lecoq added an eclectic ? to a traditional, and at times, literary training in theatre. Professional life began in voice work, television and cinema, but live theatre was and remains her passion and joy. Her favourite roles for Dear Conjunction include, “Grace in Brian Friel’s “Faith Healer”, “Miss Cutts in Pinter’s “The Hothouse”, the mouth in Beckett’s “Not I” and her many roles in Dylan Thomas’ “Under Milk Wood”. She has also performed in “A Slight Ache” by Pinter, “The Clearing” by Helen Edmundson, Giles Havergal’s adaptation of “Summer Lighning” by PG Wodehouse, and, most recently she played the role of Zoe in Timberlake Wertenbaker’s “The Line”. She has also directed many Dear Conjunction productions : “Art” by Yazmina Reza, Frank McGuinness’ “Someone Whol’ll Watch Over Me”, “The Dinner Game” by Francis Veber, and “Krapp’s Last Tape, by Samuel Beckett. In 2013, her direction of “The Clearing” was invited to the Derry (Londonderry) when that city was European city of Culture. Hermits recent direction was the very popular play, “The Line” at the Théâtre de Nesle” in Paris. Patricia ’s interest in the arts go even farther than her adopted home of France. She hosts and directs an arts school in ireland : The Alllihies Language and Arts Centre, where she created a summer arts festival “The Allies Summer Festival. Barbara Bray, was one of the most significant links between British and French literature in the 20th century. She was the principal translator and an early champion of Marguerite Duras, who was her close friend, and also translated the work of Jean Genet, Jean-Paul Sartre, Jean Anouilh and Alain Robbe-Grillet. As a young and influential script editor at the BBC in the 1950s, she fostered the work of many writers including Harold Pinter and, perhaps most importantly, Samuel Beckett, who became her personal and intellectual partner for more than 30 years. Manchester-born Martin is mainly an actor. He has also directed two productions for Bristol-based company, BareBones: 'The Invalid' (Molière's 'Malade Imaginaire'), as well as his own adaptation of Wilkie Collins' novel 'The Moonstone'. Now based in Paris, he has often worked with Dear Conjunction as both director and actor. He has directed 'Summer Lightning' (P.G Wodehouse, adapted by Giles Havergal) at the Théâtre du Renard, and 'Under Milk Wood' by Dylan Thomas at the Théâtre de Nesle. Most recently he co-directed with Patricia Kessler 'The Line ' by Timberlake Wertenbaker, also at the Nesle.. Originally from Ireland, Damian trained at the Drama Studio in London and at Acting International in Paris. He made his stage début in Blood Brothers and has since appeared in numerous productions on the London and Paris stages, among which The Taming of the Shrew, Waiting for Godot, Dancing at Lughanasa, The Enemy Within, The Dumb Waiter, Someone Who’ll Watch Over Me, Betrayal and Much Ado About Nothing. Most recently, Damian has been touring France as the Narrator with Irish Celtic Generations. Together with Dear Conjunction, Damian organised and performed in a tour of “Someone Who’ll Watch Over Me” in Ireland in 2003. Damian’s performed in the Antoine de Caunes movie Désaccord Parfait and portrayed Man Ray in the TV movie Chat Bleu, Chat Noir. Born in New York, Jerry got his first taste of showmanship in diving and weightlifting competitions (NY High School Champion). He came to France with a French Government Grant to study mime with Etienne Decroux. He has had an eclectic professional background playing roles like: a depressive Orangutan in Peanuts for Breakfast (Italian film), a peacock (The Birds, with Jean-Louis Barrault), Frog, Heron, Lion in Eh, Bonjour M. de Lafontaine. In Italy he toured with a drag show (La Grande Eugène) and had the opportunity of playing The Wall in A Midsummer Night’s Dream in Neapolitan dialect. More recently, a woman! (Helena) and The Wall (for the second time) in Waiting for the Dream directed by Irina Brook and touring internationally. In the movies he has worked with directors such as Robert Enrico, Roman Polanski, Pierre Etaix, Enki Bilal and Luc Besson (Arthur and the Invisibles). Rebecca James is an English actress who has been based in Paris since 2009. 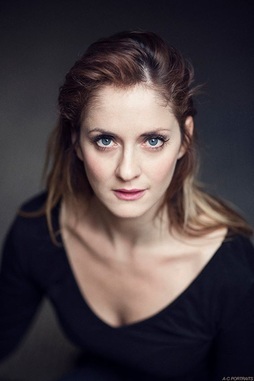 Rebecca trained at QMW, London and the Method Acting Center, Paris and has performed in a wide range of film and theatre productions in both French and English. Film work includes Deux Semaines Krono (dir. 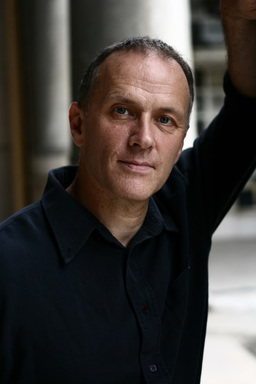 Stéphane Floricien), Marvin (dir. Anne Fontaine), Twice (Sarah Arlen) and The Rezort (dir. Steve Barker). Theatre productions include Closer by Patrick Marber (dir. Arlette-Rachel Azran), Under Milk Wood by Dylan Thomas (dir. Martin Vaughan Lewis) and Candide by Leonard Berstein (dir. Phillip Dean). Rebecca also works as a voice over artist and an acting coach. Rose trained in London at East 15 Acting School (2002-2005). She is the winner of a Lillian Bayliss award. Antony Horder trained as actor and stage manager at the Royal Academy of Dramatic Art in 1956 and was subsequently employed on the stage management staff. Worked in repertory theatre and London's West End. Taught stage management at the Central School of Speech and Drama. Director of Theatre Projects Sound Ltd. Managing Director of Stagesound (London) Ltd. Chairman of the Sound Committee of the Association of British Theatre Technicians. Initiated a basic course in sound at LAMDA. Moved to Paris in 1979 to found Demifrogs Limited to provide production, script and research facilities for British and American television companies filming in France and for writing and presenting commentaries for Films and Television. Responsible for the English versions of French documentary films. Has been associated with most of the Dear Conjunction productions including his compilation, “Lewis Carroll meets Edward Lear” at the Sunday Times Oxford Literary Festival 2013.